A portion of a chain of impact craters on Jupiter's moon Callisto is seen in this image taken by the Galileo spacecraft on November 4, 1996. This crater chain on Callisto is believed to result from the impact of a split object, similar to the fragments of Comet Shoemaker-Levy 9 which smashed into Jupiter's atmosphere in July of 1994. This high-resolution view, taken by Galileo's solid state imaging television camera during its third orbit around Jupiter, is of Callisto's northern hemisphere at 35 degrees north, 46 degrees west, and covers an area of about eight miles (13 kilometers) across. The smallest visible crater is about 140 yards (130 meters) across. The image was taken at a range of 974 miles (1,567 kilometers). On a global scale, Callisto is heavily cratered, indicating the great age of its surface. 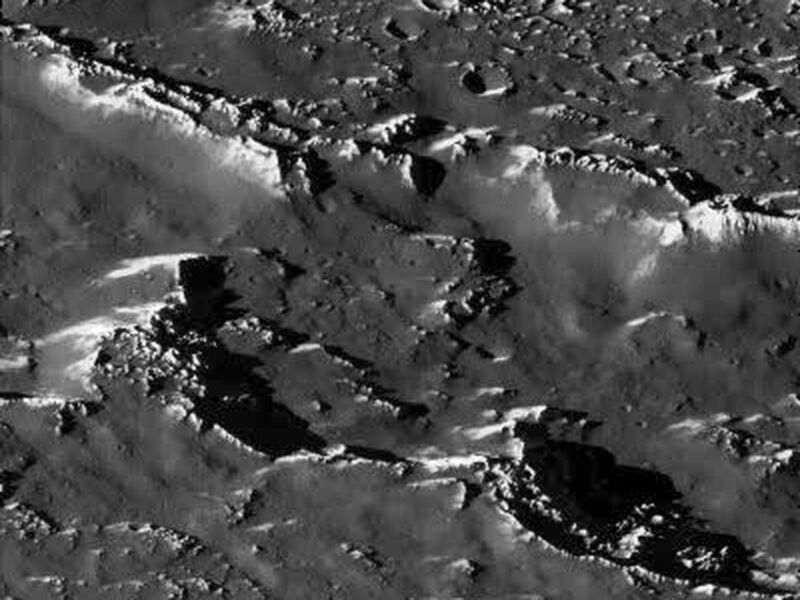 At the scale of this image, it was anticipated that the surface would be heavily cratered as well; however, there is a surprising lack of small craters, suggesting that one or more processes have obliterated these and other small-scale features. 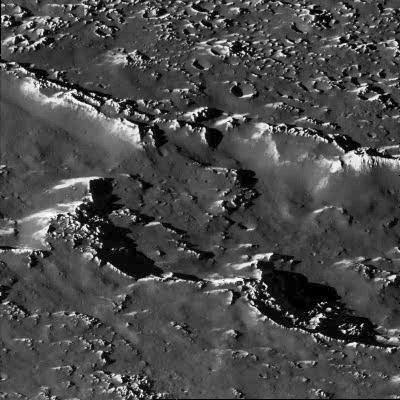 For example, downslope movement of ice-rich debris could bury small craters. 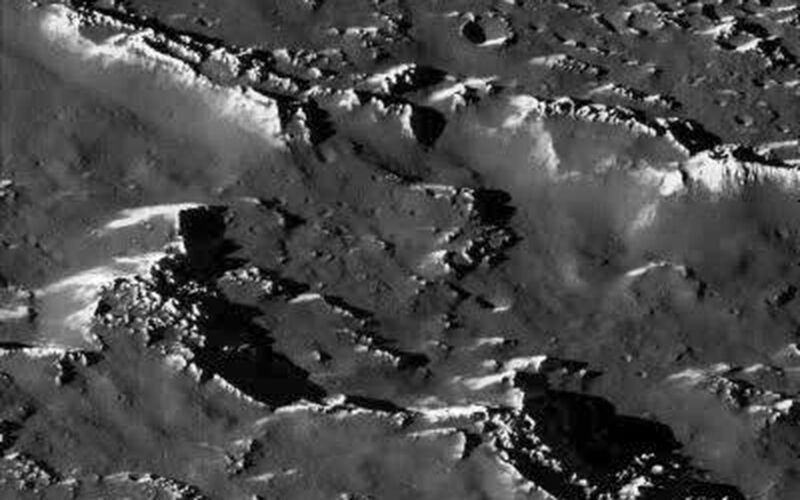 The bright slopes visible in this picture represent places where downslope movement has taken place, exposing fresh ice surfaces.